You have arrived very ancient city of JAPAN . I like to show you how to get out from the Shin-Kan-Sen tracks . When you have arrived from TOKYO then You would be track no. 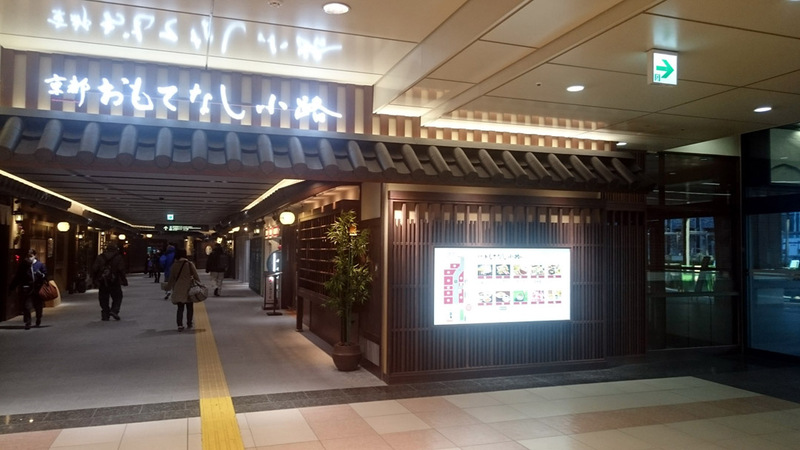 13 and no.14　where is located at the 3rd floor of KYOTO Station . 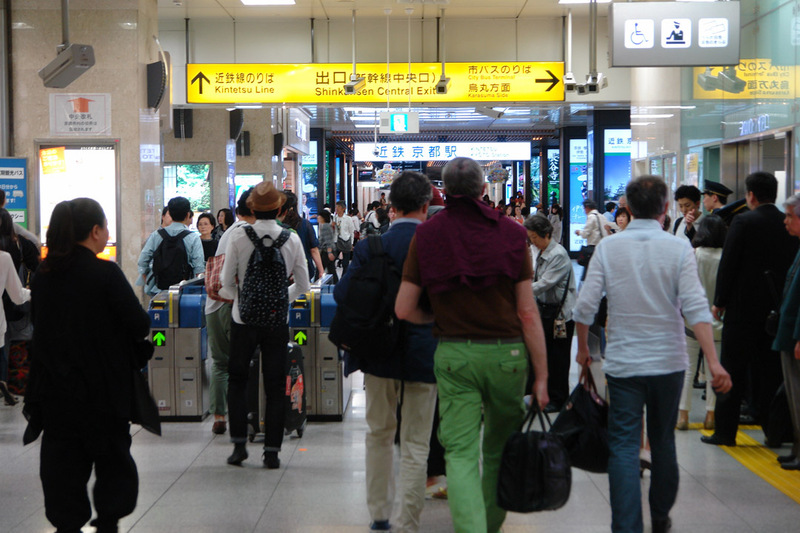 This picture is towarding to Osaka Station which means towarding to West. Big window is towarding to South. Wide open sky. The Shin-Kan-Sen will stop about 1 minute. 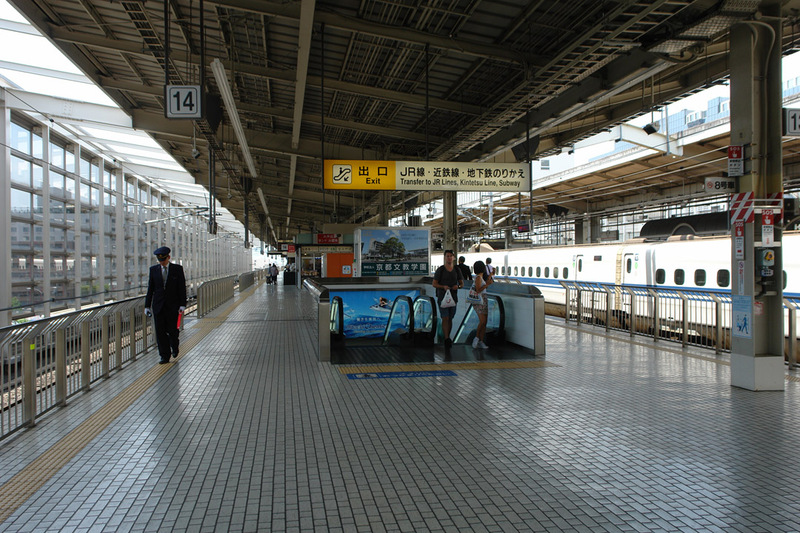 So You have to get out from the bullet train as fast and quick as possible. 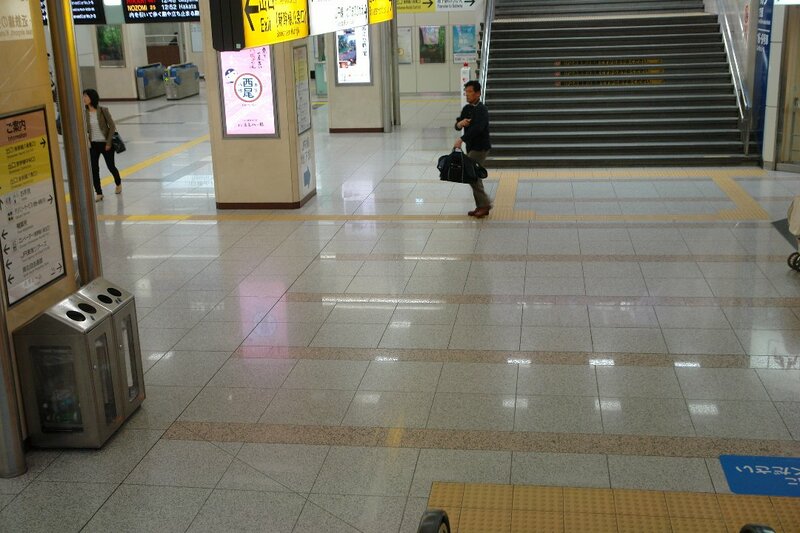 Because about 3 minutes later, next bullet train will reach to your track. I hope you can get out from the bullet train safely . 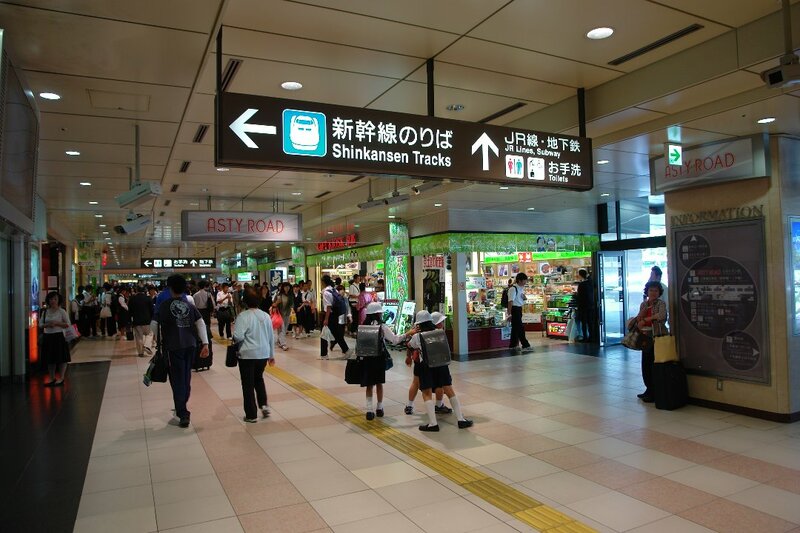 If you are from Hiroshima or Osaka when you arrive track No.11 and 12 . You will see almost same scene . So ,You have to go down to the 2nd floor. 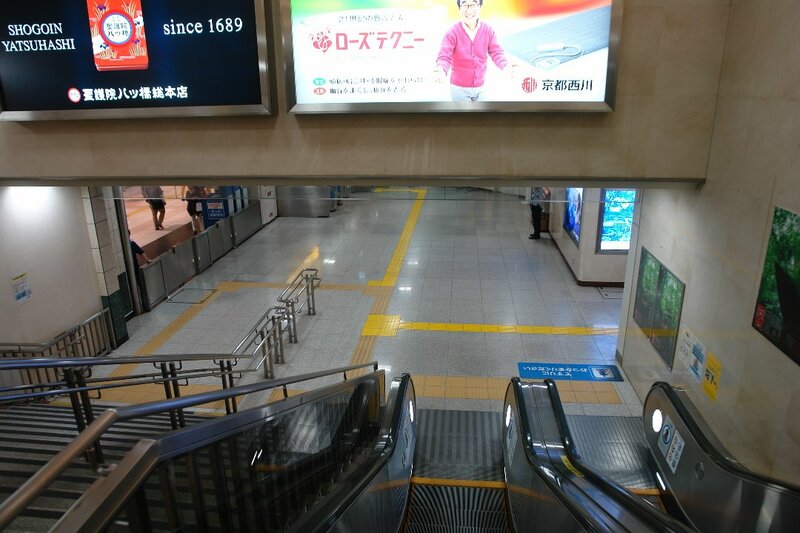 There are some escalators and an elevator to the 2nd floor. You can not go to the 1st floor directly. JR is not kind as you expected. You have now arriving to the 2nd floor . 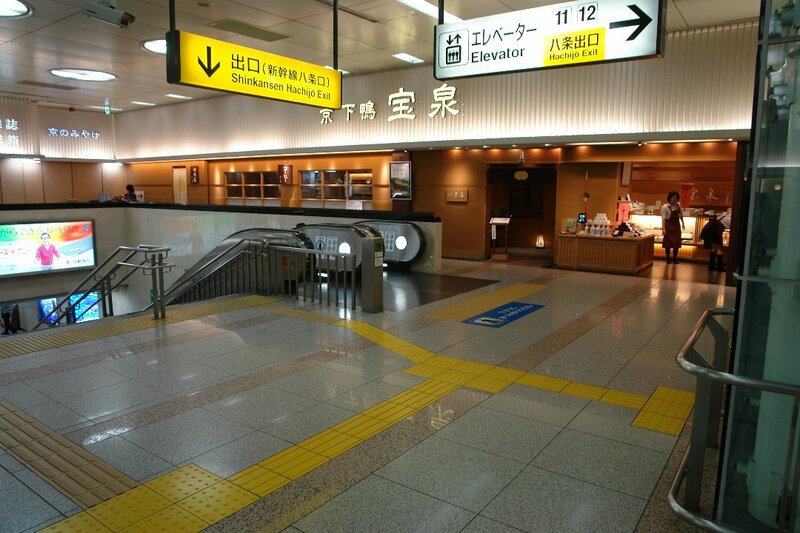 This exit is the central exit where is located at the 2nd floor . 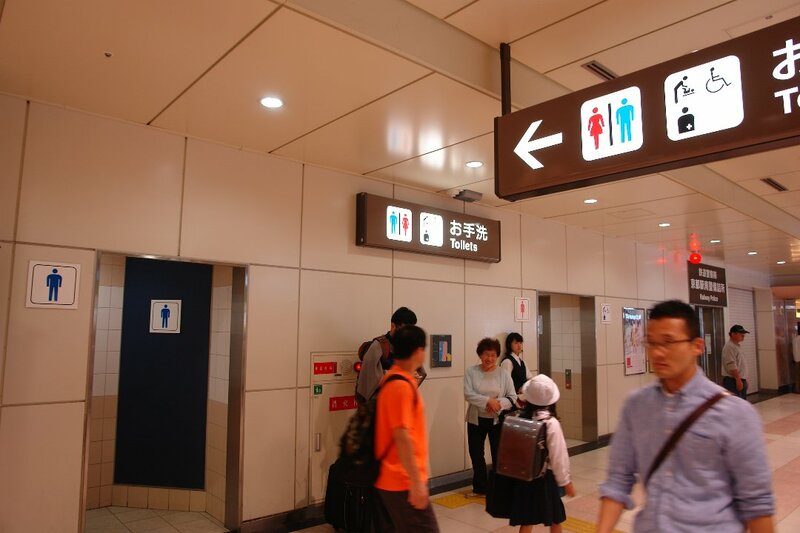 If you have to go to the "Kintetsu line" or "Karasuma exit"
then you must get out from this exit . 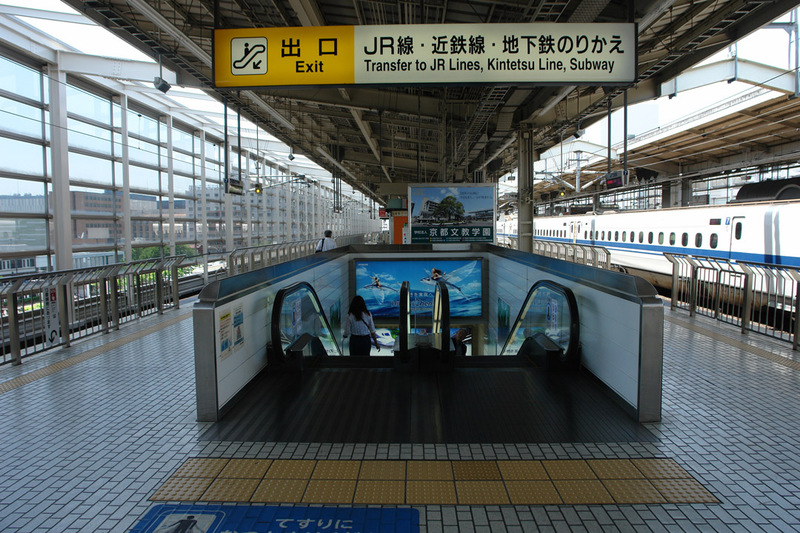 You can transfer to the local line directly from this exit . 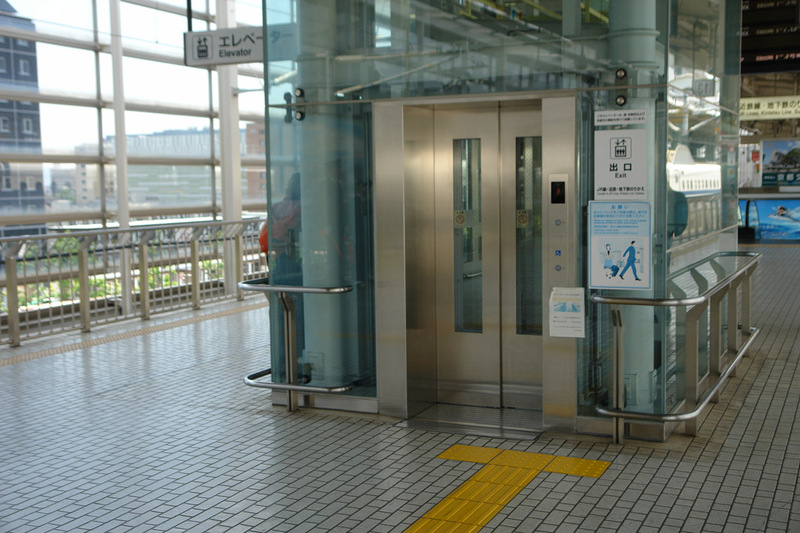 This exit is also located at 2nd floor . 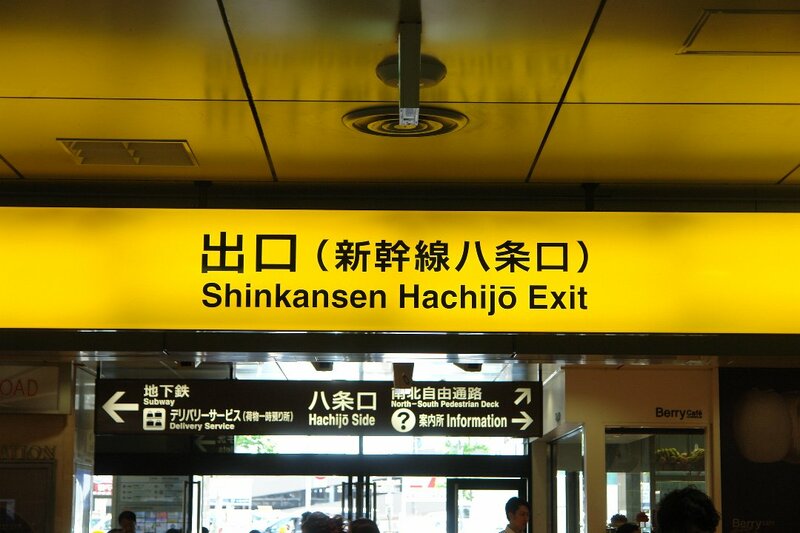 the " Hachijyo Exit " . Please look Yellow sign carefully . 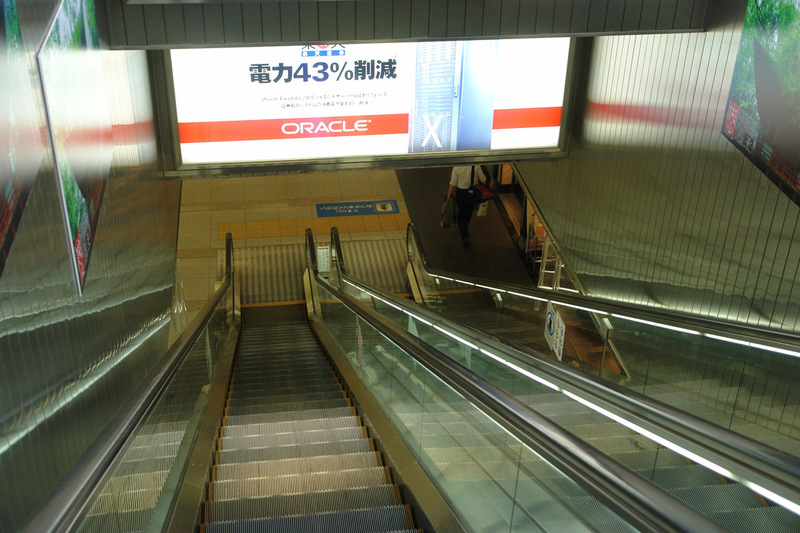 The way to the "Hachijyou Exit " . 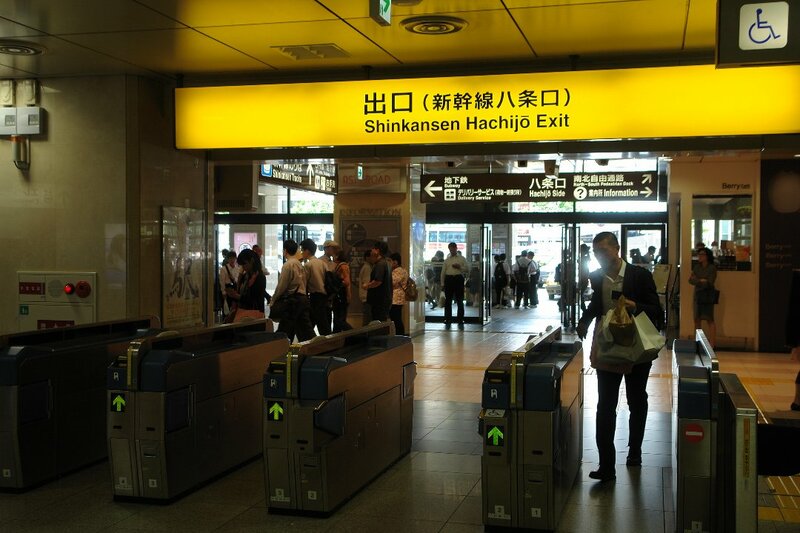 You have now arrived just in front of the "Hachijyou Exit " . You better prepare your ticket(s) in your hand . "Jyou" means the line or the street . So that "Hachijyou " means the street No.8 . There are Numbered streets from No.1 to No.10 . This exit is facing No.8 street . 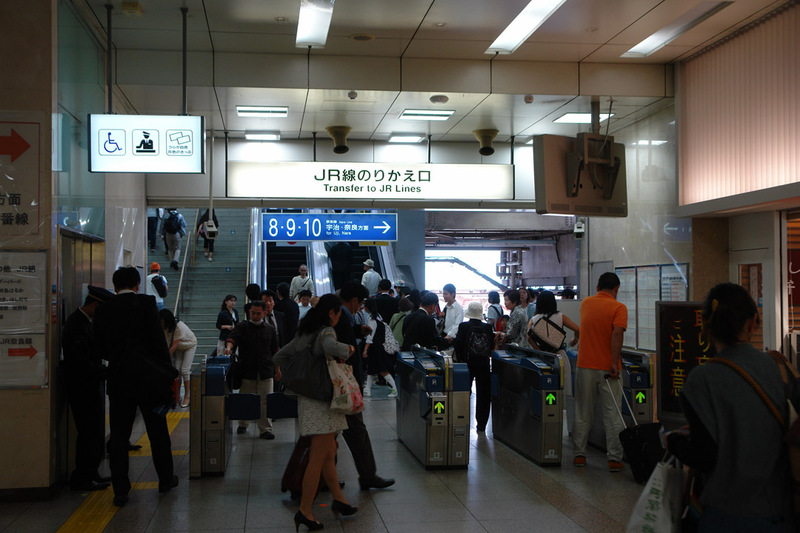 6-0: Just get out from the "Hachijyou Guchi " exit . You just get out the exit and turned to the left . Please walk to the left . 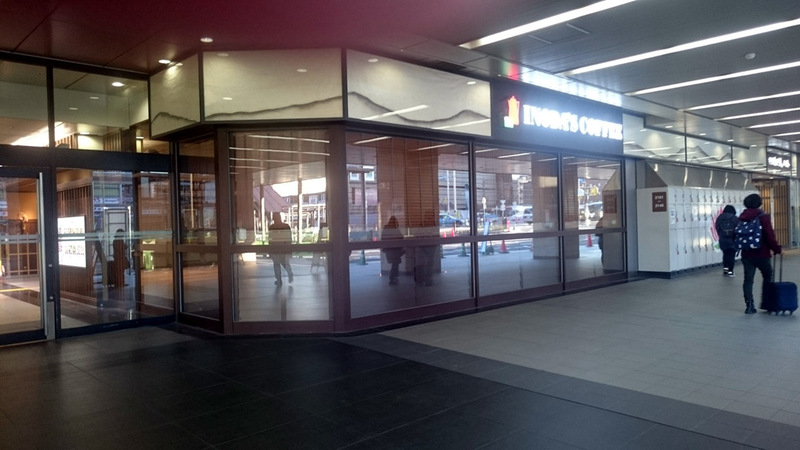 There is a coffee shop about 30M away . When you walked about 20M . There is a toilet on your left side . You will find a coffee shop on your right side . There is a exit to the outside . You will see a lot of cars . 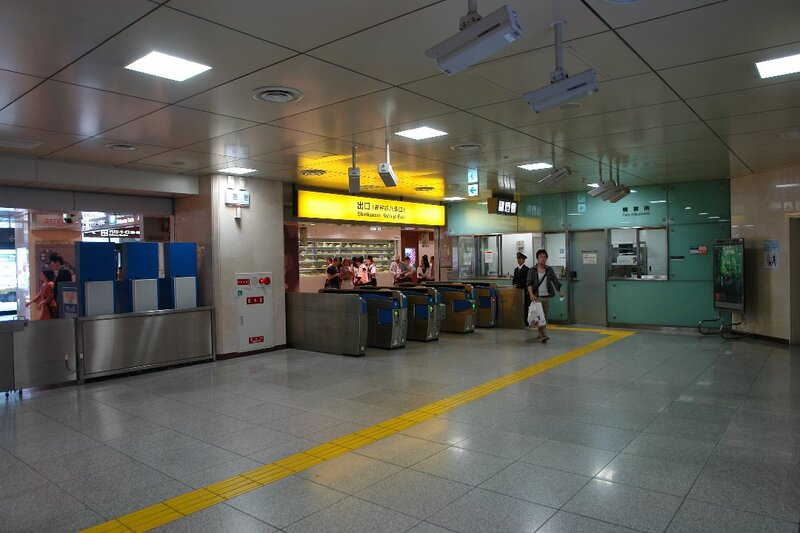 It is just about exit near by coffee shop .